The first period yielded a single goal in favour of the visitors when Luke Ferrara opened the scoring at 13.42. The teams went through a ding dong battle in the second period when Mindy Kieras let loose with a blueline slapshot to level the game at 31.09 but straight from a face-off after the visitors removed the Slough net came the second Peterborough goal when Petran scored at 31.35. Ciaran Long managed a shorthanded delayed penalty goal at 32.49 to level at 2-2 but Zubek made it 2-3 at 34.10 with a powerplay goal and Cesky made it 2-4 at 38.38 with a delayed penalty goal. Peterborough sealed the win in the third period with Ferrara’s second at 46.18 on the powerplay and his hat-trick goal at 49.55. Eric Piatak scored the final goal at 57.52 to end the scoring at 2-7. A busy week of three games for the Slough Jets started at home to take on Sheffield Steeldogs. 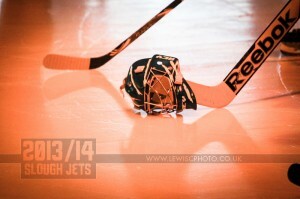 Sheffield took everyone by surprise by netting the opening goal of the game at 1.08 when Lloyd Gibson finished off from Bebris and Brittle before both teams were offered powerplay chances which neither converted leaving the end of period score 0-1 despite Slough rattling the goal frame a couple of times. With just a single shot difference in the second period the competitiveness continued in the next period, this time the favour swinging in favour of the visitors. At 38.48 Frantisek Bakrlik fired a shot on the goal which was back out again quickly and eventually play stopped for consideration. Referee Joy Tottman consulted both linesmen and the goal judge then correctly awarded the equalising goal and the middle period ended 1-1. It took just 44 seconds of the third period for Slough to take the lead as Aaron Connolly netted the game winning goal from Matt Towalski. Again there was just a single shot in the count between the teams and with no further scoring at 59.00 Andre Payette called the visitors timeout and continued the game with an extra attacker swapped for his netminder but Slough closed out the win. 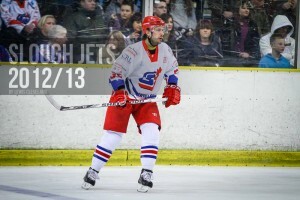 Slough Jets welcomed their nearest neighbours, Bracknell Bees to the Hangar for their second competitive visit and therefore for just league points. After both teams have got the measure of each other Slough opened the scoring at 9.58 through Doug Sheppard and added a second under a minute later at 10.47 when Adam Calder scored. Darius Pliskauskas put the final goal in of a perfect 3-0 opening period at 16.30 despite the visitors managing 4 more shots than their opponents. The second period saw Bracknell pull back a goal at 25.57 when Lukas Smital netted but Joe Greener made it 4-1 at 29.30. Special teams then came into play for Slough with Pliskauskas netting a powerplay goal at 33.49 and Dan Davies a shorthanded goal at 38.59 around Smital netting his second at 34.33 and Slough ended the second period 6-2 ahead. 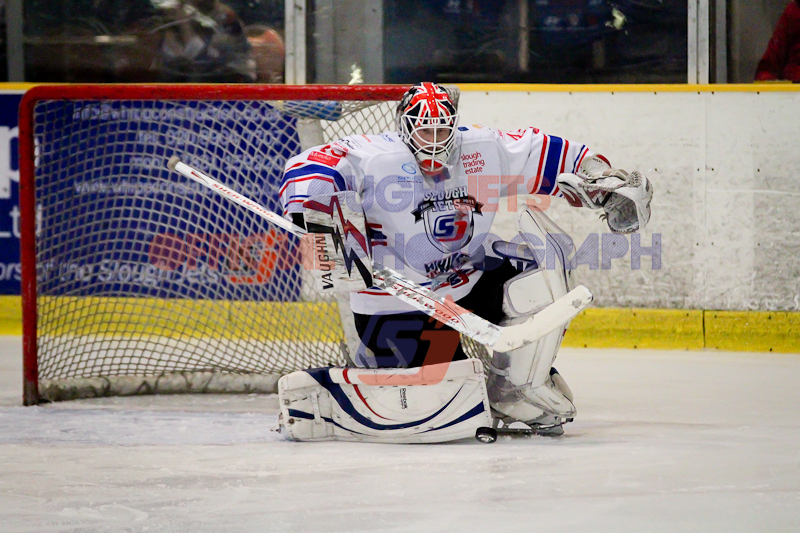 Bracknell changed netminders for the third period and Tom Annetts took over for the final 20 minutes and kept a clean sheet for the opening first half of the period but Pliskauskas scored his hat-trick goal at 51.58. 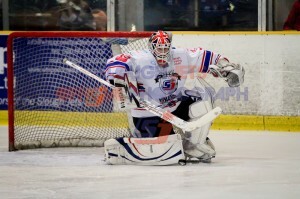 Slough killed off three penalties including a spell of 5 on 3 to hold out for a 7-2 win. Sheffield made their final trip of the season to the Hangar to face the Slough Jets, looking to return straight back to winning ways. Slough defended two penalties including a spell of 5 on 3 then Sheffield found themselves killing a penalty and not long after the return to full strength Pliskauskas scored again at 35.02 making it 2-1. Slough eased their way to victory in the third period with Shaun Thompson scoring at 47.15 to make it 3-1. 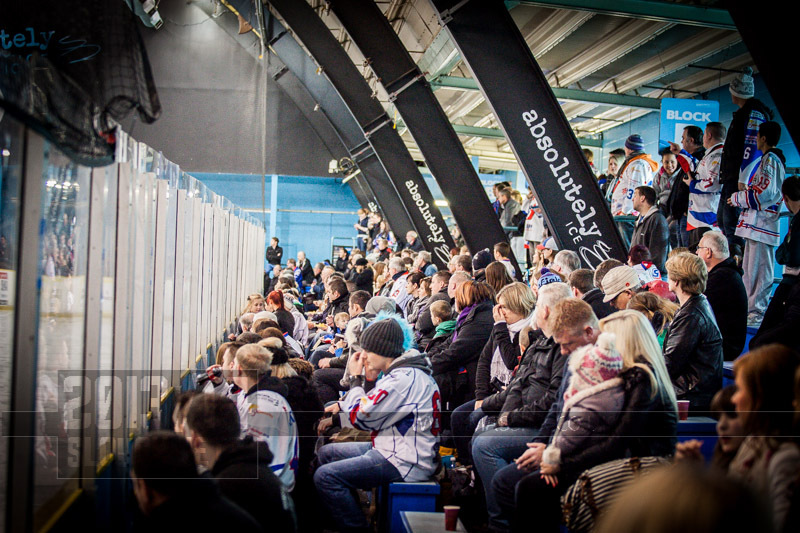 Sheffield failed to capitalise on a 51.22 Slough penalty and called their timeout at 57.52. Bowns was pulled from the net for the extra skater but Slava Koulikov took his time ensuring he made no mistake with the empty net and made it 4-1 at 58.46. The only remaining action of the game was double roughing minors for Billy Phillips and Craig Elliot with just 14 seconds left.